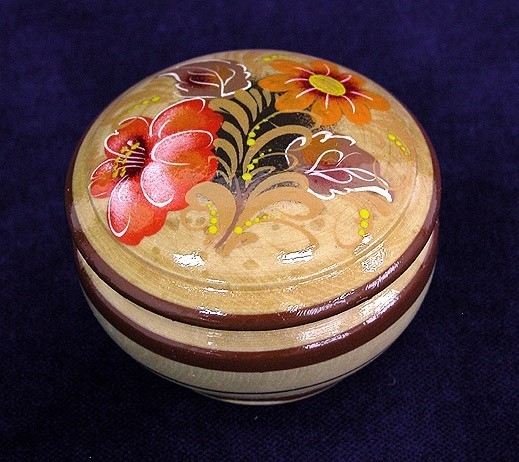 Beautiful hand-painted wooden lacquered box. 2.7"x2" (7x5 cm). Century-old famous hand-made Vladimir lacquered paintings. 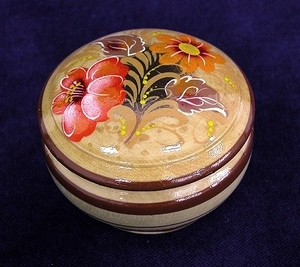 This box is covered with special lacquer which is good for food and beverages. All ware is washable in standard dish-washers with any washing liquid. Excellent value for your money. Vladimir paintings would be unique gifts for your loved ones and are good for any occasion.